Jaz Beeson is a young singer/songwriter. 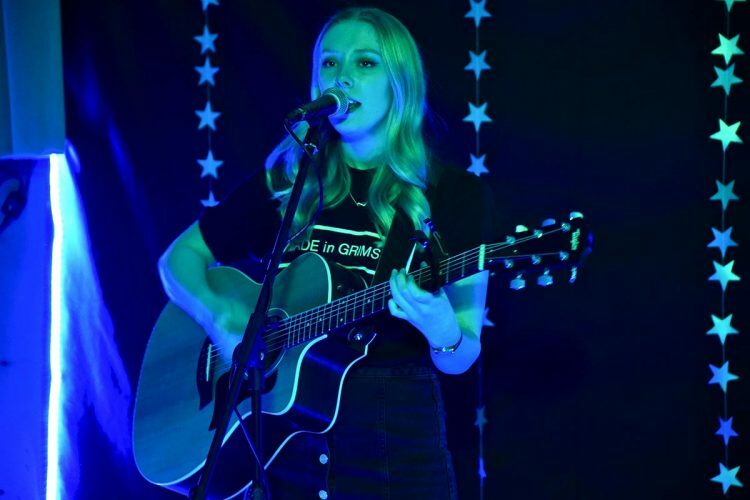 Arising from Lincolnshire, she is a girl with a creative ear for acoustic melodies and soulful harmonies. At the tender age of 18, her passion for crafting lyrics is inherent as she captures her audiences' hearts. This is shown in her debut EP, ‘The River (and the songs that led me to it)’, which was released in March this year. Having taken on multiple festival stages before, such as at Humber Street Sesh, Festival 8 and the Lincolnshire Show, she is one to watch.